Jasiya, aka Jojo, is a 12-year-old from Columbia, SC who wants to help other kids explore their career interests and set achievable goals. Through her YouTube channel called Jojo's PersonaliTV, she encourages other idea girls to work on their public speaking, interviewing, and research skills. Read on to learn more about Jojo and her idea. I am involved in volleyball, orchestra as a violinist, and the Zoobot Magnet program at my school. I study Zoology to start to pave my path of the road to success to fulfill my dream of becoming a veterinarian. Some of my favorite hobbies are doing crafts, watching veterinarian shows like Dr. K’s Exotic ER, and working on ways to expand my business. I am working on expanding my speaking platform by obtaining more speaking engagements to uplift girls, encourage them to reach for the stars, and show them how to set goals to achieve those dreams. Currently I am working on signature talks to be able to speak at youth events across the country. I have a very demanding schedule. By setting goals and steps to achieve them it helps me not to procrastinate and to stay on target. I like to share ways that I do this. I know the things that we practice in our household could help other girls like me. One challenge that I have faced is not being focused on this as much because of all that I have going on with school, but I have overcome that challenge by making a vision board to have something to visually see instead of mentally knowing that I have to do it. With the vision board I also have a to-do list beside it just to make sure that I stay on track on achieving the things on my vision board. Some things take more time than others, but I know it will be worth it. On my Youtube channel, my sister and I interview people about their careers and the steps that they took to get there. Since I have been more intentional about what I want to focus on with expanding my speaking platform, I have been more consistent about interviewing people for Jojo’s PersonaliTV. Earlier this year I interviewed my very first celebrity, Kim Coles, on my talk show ‘Talk It Up’. I would like more subscribers to my YouTube channel and more people watching my videos that I upload to Facebook as well. Please give feedback on the shows as well as ideas for others to interview. This helps me to know what content you want to see. This in turn will help to build my speaking platform. Just do it! I know everyone says that, but it really is the best advice anyone has ever given me. 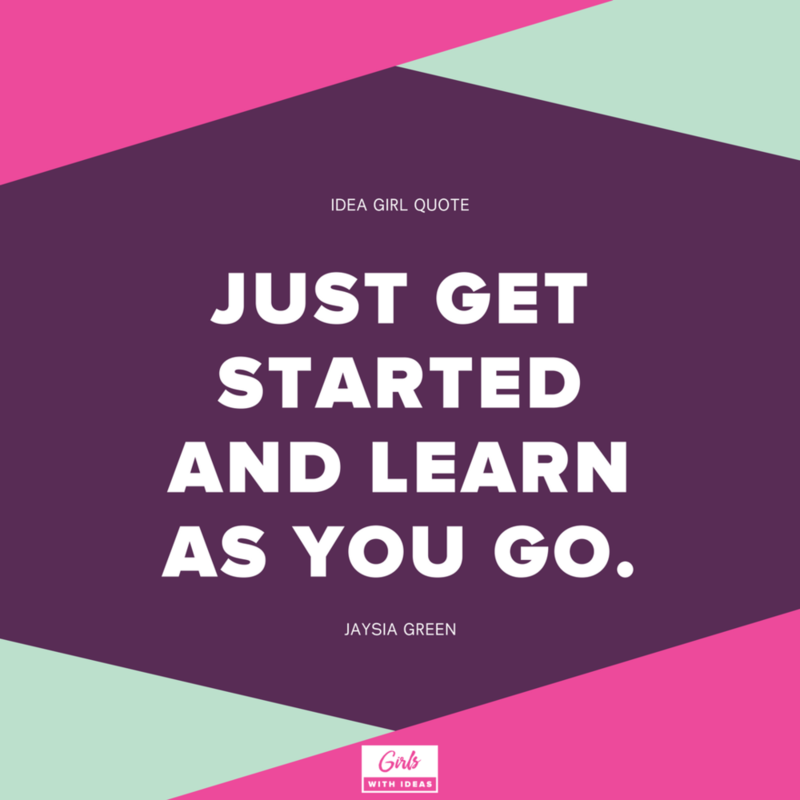 Just get started and learn as you go. I dream, hope, and wish is to become a Veterinarian. I just LOVE animals. 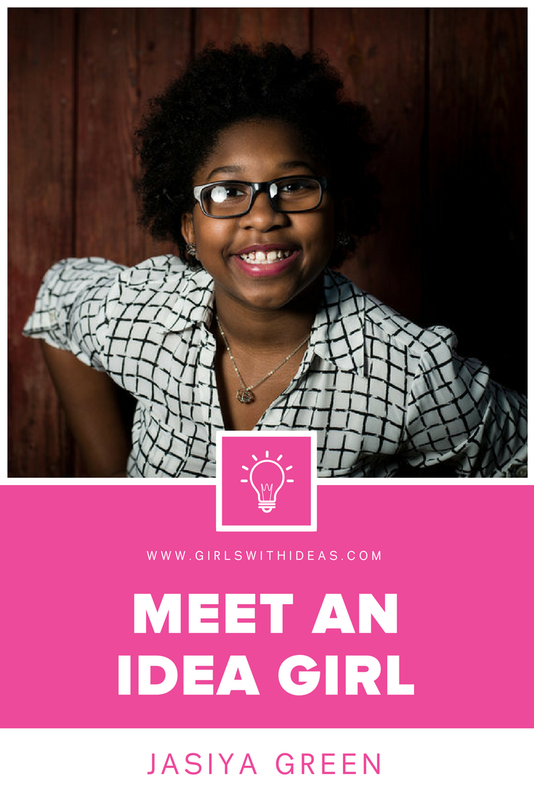 If you know a girl with a story like Jasiya's, nominate her to be our next featured Idea Girl!